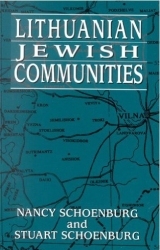 Reprinted by permission of the publisher, Jason Aronson, Northvale, N.J.
Rakishok is near Abel (9 miles), Dusiat (23), Ezhereni (7), Kamai (11), Kupishok (30), Ponidel (17), and the Latvian border (13). The train station on the line to Dvinsk, Libau, Riga, Ponevezh, Shavli, and Kovno was 2 miles away. The town developed from an estate owned by the House of Kroshinsky. The widowed Princess Helena, the last of that family, married Baron Tisenhoif, and Rakishok passed to the family of the Barons Peshedietzky. The property administrator developed trade contacts with the Jews of the area and invited them to settle there. The Baron established a large Catholic Church. Thousands of peasants would come on Sundays and holidays. Sunday was a big market day and helped the town develop. The rail line helped the export trade in lumber, produce and particularly flax. The town became a trade center for a large agricultural area. Before World War I, the town was in Novo-Alexandrovsk (Ezhereni) District. After the Germans took the town (1915-1918), Rakishok became a District Capital. In 1847, the Jewish population was 593; in 1897 - 2067; 75% of the general population; and in 1914 - about 3000, out of a general population of 3829. In 1921, 1900 Jews lived there, and in 1923 - 2013. Prior to the Holocaust, 3500 Jews lived there, 40% of the general population. During World War I, most Jews fled. The German occupation was difficult for the Jews that remained, due to limitations on movement, confiscations, and forced labor. After the War, some Jews returned. The Joint (JDC), the Peoples Bank and relatives from abroad helped restore the ruined houses. In 1905, a loan fund was established by Hillel Eidelson. Later, a credit bank was formed. In addition, a merchants bank was administered by M. Miller. During Independent Lithuania, there was the Jewish Peoples Bank with 357 members in 1929, and a loan fund for artisans. Most Jews were small-scale traders and peddlers. On market day, they would buy flax, cattle, hides, egg and other farm products from the local peasants and sell them grocery items, fabrics, machines, etc. Among the larger tradesmen were Rosen and Rabinovitz in produce, Chanoch Hemelnik in flax, Dovar Kramer with large animals. Prior to World War I, merchants received products from Dvinsk. During Independent Lithuania, products were brought in from Ponevezh, Shavli, and Kovno. The post-war period was marked by brisk development and building. Many Lithuanians from the surrounding villages came to settle and open stores. Prior to World War I, only 3 stores had been Christian-owned. Then Lithuanian cooperatives came into being, with Lithuanian artisans and tradesmen. the nationalization of trade in flax and produce, competition from the Lithuanian cooperatives, taxes and incitement against Jewish tradesmen and artisans caused a severe economic slump for the Jews. In 1925, there was a wave of bankruptcies among the Jews. Between 1926 and 1930, many emigrated to South Africa, the U.S., and Palestine. In 1937, there were 37 Jewish artisans, including 16 tailors, 33 shoemakers and needleworkers, 24 butchers, 3 bakers, 7 metalworkers, a carpenter and 2 clock makers. Several hundred Jews worked in Jewish-owned small industry, which included a tannery, flour mills, a sausage factory, a casting factory, and an electric station. A number of Jews were porters and cartsmen. Two photography establishments and the cinema were owned by Jews. Nearly all doctors and pharmacists were Jewish. In 1940, all the businesses were confiscated by the Soviets. Many merchants were banished to Russia. The Jews were mostly Chabad Hasidim (Lubavitch, Bobroisk and Lyady). Before World War I, there were two rabbinates: one for the Hasidim and another for the Mitnagdim; there were also two shochets. One of them was Natan Friedman. On the main street were 3 Habad beit midrashes. They were painted the colors of the Lithuanian flag. The yellow beit midrash was for scholars, the green one for community leaders, and the red one - the largest - for the general community. At the edge of town was the synagogue. There was a prayer house in the Talmud Torah of Duvar Zelkind, the "Zionist Minyan" for holidays and a Tiferet Bachurim minyan every day. Before World War I, there were cheders and a yeshiva. Veteran teachers included Leibush, Moshe-Aron Farber from Dvinsk and Zemach. Several Jewish students studied at the Russian high school. In 1910 a private school for girls was founded by Miss Gurvitz and Miss Rabinovitz. During Independent Lithuania, there was a yeshiva and a small yeshiva of R. Moshe Sidrer, a Tarbut school, with 200 pupils; a Yavneh school; and a Hebrew pro-gymnasia with 40 pupils. A sizable number of Jewish youth studied at the Lithuanian high school. There was also a library and a drama club. Included among the charitable organizations were Linat Hazedek, Bikur Holim, an orphanage with 40 boys and girls administered by Hannah Shador, and a charitable women's association. In 1905, there was a revolutionary underground operating against the Czarist regime. During Independent Lithuania, a community council (kehilla) levied taxes and established educational and charitable institutions. When this was eliminated, these institutions passed to private societies and associations. At different times during the early days of the Independence, two Jews, Yitzhak Serber and Vulfert, held the office of assistant to the Lithuanian mayor. Chapters of all the Zionist parties were active. There were Zionist youth groups and sports associations, including Maccabi and Hapoel, Kultur-Leagua and Leftist organizations. Among the religious organizations were Tiferet Bachurim, the youth of Young Mizrachi and Agudat Yisrael, which supported settlement in Eretz Yisrael. Shmuel Levitan founded a yeshiva which existed until World War I. Later the yeshiva was reopened by Dubar Zelkind. One of the heads of the yeshiva was R. Klein. The principal of the "Klein Yeshiva" was Moshe Sidrer. From the rabbinate: R. Eliahu Margeliot of the Mitnagdim (before that in Radin); his son R. Isser (Asher) of the Mitnagdim; R. Yosef bar Meir Katz of the Hasidim; R. Bezalel bar Yosef Katz (died at the age of 96; was the rabbi of the Lubavitcher Hasidim for many years); R. Avraham Meirovitz (related by marriage to R. Bezalel; a student of Mir, Vlozhin and Slobodka; he was one of the founders of the Jewish Peoples Bank and was one of the Mizrahi rabbis. In 1928, he went to Abel); R. Shmuel Levitin, of the Mitnagdim (related by marriage to R. Isser); and the last rabbi R. Zelig Orlovitz. Public figures: Hillel Eidelson; H. Eresh; David Rosenshtein (school principal); his wife Yaffe Rosenshtein-Kaplan; Pesach Roch; Charmetz; Dubar Zelkind; Hannah Shador (sister of Hillel Eidelson); Moshe Vasterman and Avigdor Glombotzky (one of the heads of Tzofim, the Hebrew Scouts movement). Natives: R. Shmuel-Abba Senig (army chaplain); Avraham Shapira (industrialist); Yakov Shmushkevich (commander in the Soviet Air Force); Shalit Levy (journalist and writer).